What is the theme of the game? Is it a Cthulhu-type thing? Vampires? Do the players play co-op or is it player vs player? Just interested to know...FFG puts out some very pretty games. The game is Cthulhu themed, where the players investigate something. Initially the players do not know how to actually win the game, but through searching the mansion and finding clues they learn how to win. They have to solve puzzles, search and fight monsters that the Keeper throughs at them. The game is like Descent in that one player is the Keeper and controls the monsters and does everything he can to kill the other players. The players that are opposed to the keeper work together. 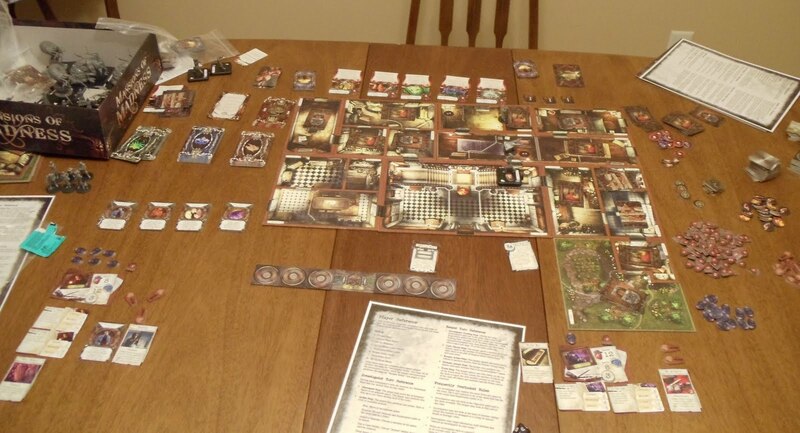 Unlike Descent, the players have a set time to find clues and try and win the game. The characters themselves are the same characters out of Arkham Horror.